Being India’s only surviving Opera House, we at the Royal Opera House, Mumbai take the title very seriously and, in collaboration with some of our key partners, Avid Learning, Furtados, Giving Voice Society, and Italian Embassy Cultural Centre, Mumbai actively strive to be the champion and keeper of this beautiful art form whose legacy in India we must continue and enhance. The opening night in October 2016 had featured International Soprano Patricia Rozario accompanied by Pianist Mark Troop singing operatic arias and songs. In July 2017, Patricia and Mark, and their Giving Voice Society presented Domenico Cimarosa’s Il Matrimonio Segreto featuring an all-Indian cast and orchestra and played four sold out shows which were very well received by the audience and the press. 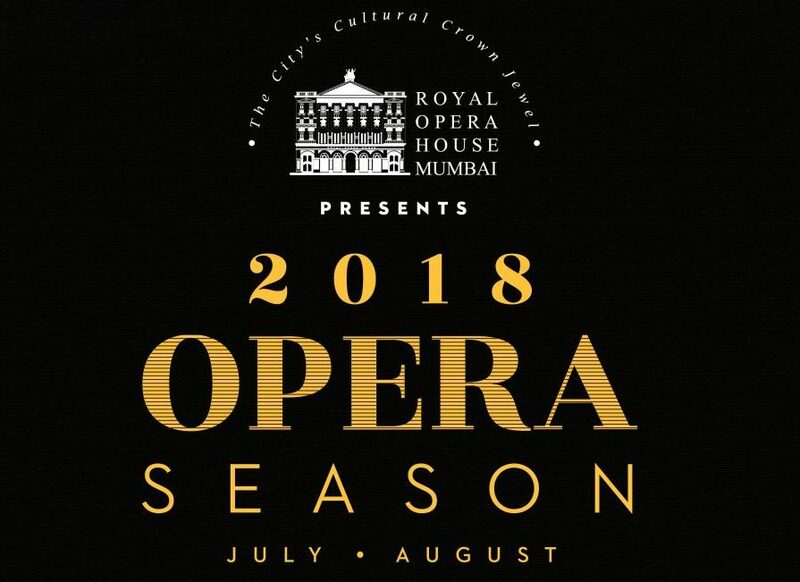 After the success of the opera house inauguration and several operatic performances that followed, The Royal Opera House, Mumbai is proud to inaugurate its Opera Season 2018 which will feature many more exciting Opera-related events. We have embarked on an education program, taking on the task of educating people in the city on Opera in an approachable and engaging manner. In order to make Opera more accessible to curious music lovers and cultural attendees we kicked off our music genre workshops with two well-received workshops on Opera Appreciation (February and April 2018) conducted by Mark Troop. On 14th July 2018, Come experience the magic of the Opera in a way you’ve only ever imagined – from the wings! Royal Opera House, Mumbai in association with Avid Learning, Furtados, Italian Embassy Cultural Centre, Mumbai and The Quarter is set to encore a third workshop in our Opera Appreciation series with Pianist and Opera Accompanist Mark Troop. Having laid much-needed historical and critical groundwork, in Making of an Opera, Mark will now turn to more practical aspects of actually realising an Opera on stage- using our upcoming annual in-house production as a working example. This is an exciting opportunity for those who have only seen or heard recorded versions of opera to experience how it comes alive on stage. Mark will be joined later in the day by Italian Composer and Conductor Maestro Massimo Taddia. On 17th July 2018, Royal Opera House, Mumbai in association with Italian Embassy Cultural Centre, Mumbai, Furtados and Avid Learning will present Gioacchino Rossini and Isabella Colbran: A Musical Marriage. This performance celebrates 2018 as the Rossinian Year- the 150th Death anniversary of the famed Operatic composer. Italian artistes, Soprano Maria Chiara Pizzoli and Harpist Marianne Gubri will perform classical arias by Rossini and Isabella Colbran- the singer, muse and wife of the Italian composer. The arias, sung in Italian, were composed for accompaniment by piano or harp and were published between 1805 and 1809. Contemporary renditions of these arias were recorded by the duo in a First World Recording for the Italian record label Tactus and a selection of these will be performed by them on our stage. On 28thJuly 2018, the Royal Opera House, Mumbai Team will conduct an illuminating Opera Walkthrough and Tour taking people through the iconic venue and providing historical nuggets on its heritage and restoration as well as its legacy of Opera. We have curated these compelling series of events in July as a lead-up to an opera production which will run from 1st– 3rd August 2018. This year we are proud to collaborate with Giving Voice Society in presenting Austrian composer Joseph Haydn’s, La Fedeltà Premiata (Loyalty Rewarded). A light comedy of amorous mix-ups, this is a sparkling classical work by Haydn. Written in 1791, this opera is considered one of his very best. In the unlucky town of Cumae, faithful couples are sacrificed to a lake monster, making infidelity a good emotional life plan! After many amorous mix-ups involving local nobility and the High Priest, a solution is found, and the town returns to its happy monogamous ways. The production will have Patricia Rozario and Mark Troop as Artistic Directors and Natalie Murray Beale as the Conductor. For this year, Associate Directors Alison Wong and Tim Nelson, have chosen to set the opera in India, which allows for the introduction of local touches, through costuming and dance, that will surely delight local audiences. The production will also feature, as has become a trademark, trained Indian singers from Giving Voice Society and Indian instrumentalists wherever possible. The Italian Composer and Conductor Maestro Massimo Taddia will provide special instruction in Italian pronunciation to the singers. During the three days of the opera run, be sure not to miss an exclusive Fashion Pop-Up of graceful Opera-inspired gowns by Mumbai-based designer duo Karan Berry and Leon Vaz of the House of Karleo that are sure to enhance the elegant atmosphere of the production. Whether you are an enthusiast, connoisseur or just simply curious, do not miss rare opportunity to engage with the art of Opera like never before! Previous ArticleTHE AUSTRALIAN WORLD ORCHESTRA RETURNS TO INDIA FOR THREE EXTRAORDINARY CONCERTS IN SEPTEMBER 2018!